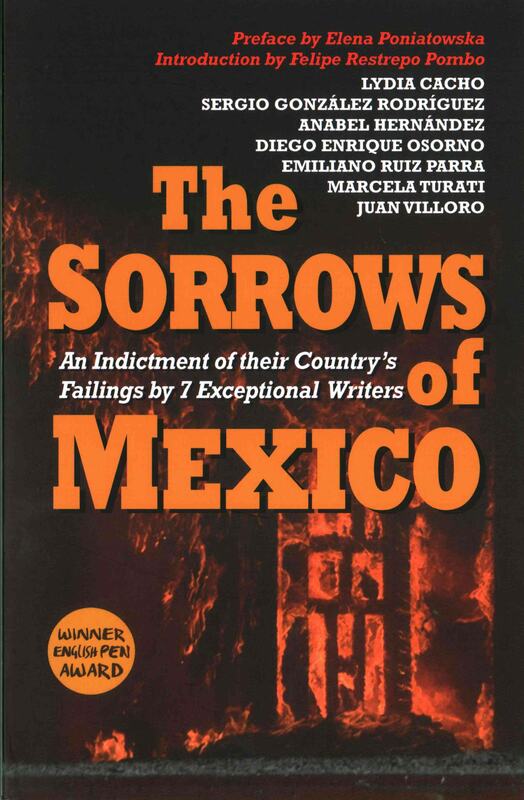 With contributions from seven of Mexico's finest journalists, this is reportage at its bravest and most necessary - it has the power to change the world's view of their country, and by the force of its truth, to start to heal the country's many sorrows. Veering between carnival and apocalypse, Mexico has in the last ten years become the epicentre of the international drug trade. The so-called "war on drugs" has been a brutal and chaotic failure (more than 160,000 lives have been lost). The drug cartels and the forces of law and order are often in collusion, corruption is everywhere. Life is cheap and inconvenient people - the poor, the unlucky, the honest or the inquisitive - can be "disappeared" leaving not a trace behind (in September 2015, more than 26,798 were officially registered as "not located"). Yet people in all walks of life have refused to give up. Diego Enrique Osorno and Juan Villoro tell stories of teenage prostitution and Mexico's street children. Anabel Hernández and Emiliano Ruiz Parra give chilling accounts of the "disappearance" of forty-three students and the murder of a self-educated land lawyer. Sergio González Rodríguez and Marcela Turati dissect the impact of the violence on the victims and those left behind, while Lydia Cacho contributes a journal of what it is like to live every day of your life under threat of death. Reading these accounts we begin to understand the true nature of the meltdown of democracy, obscured by lurid headlines, and the sheer physical and intellectual courage needed to oppose it. With contributions from seven of Mexico's finest journalists, this is reportage at its bravest and most necessary - it has the power to change the world's view of their country, and by the force of its truth, to start to heal the country's many sorrows. Supported the Arts Council Grant's for the Arts Programme and by PEN Promotes Veering between carnival and apocalypse, Mexico has in the last ten years become the epicentre of the international drug trade. The so-called "war on drugs" has been a brutal and chaotic failure (more than 160,000 lives have been lost). The drug cartels and the forces of law and order are often in collusion, corruption is everywhere. Life is cheap and inconvenient people - the poor, the unlucky, the honest or the inquisitive - can be "disappeared" leaving not a trace behind (in September 2015, more than 26,798 were officially registered as "not located"). Yet people in all walks of life have refused to give up. Diego Enrique Osorno and Juan Villoro tell stories of teenage prostitution and Mexico's street children. Anabel Hernández and Emiliano Ruiz Parra give chilling accounts of the "disappearance" of forty-three students and the murder of a self-educated land lawyer. Sergio González Rodríguez and Marcela Turati dissect the impact of the violence on the victims and those left behind, while Lydia Cacho contributes a journal of what it is like to live every day of your life under threat of death. Reading these accounts we begin to understand the true nature of the meltdown of democracy, obscured by lurid headlines, and the sheer physical and intellectual courage needed to oppose it.